Remember when platform sandals were a thing and basically all we wore? Well they are back, mama, thanks to Steve Madden and Urban Outfitters. 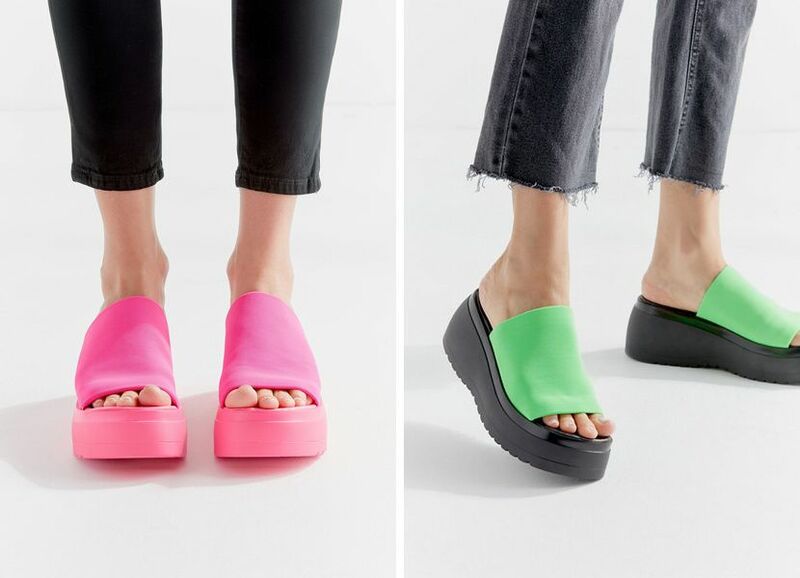 The iconic Slinky Platform Sandals are back from the dead and turning heads in basic black, neon green and bright pink. So if you're looking for a shoe you can wear on the beach, the boardwalk and the pool deck this summer (didn't these float, too?) while adding an extra couple inches to your height, these throwbacks are back in style and easy to wear.